At Accessibility Scotland 2017, Michael Crabb @mike_crabb explained that when we are designing services with accessibility in mind there are so many different things that we need to think about. Like, who benefits from an accessible system, what sort of challenges do we as developers and designers need to overcome, and…what is meant accessibility in the first place!? This talk will introduce the concept of ‘accessible everyone’ where we can look at the permanent, temporary, and situational accessibility challenges that are faced by members of society. We’ll look at the similarities and differences that exist between these ideas and how we can use them to think about accessible services that can help everyone. I spent a little bit of time working with BBC Research on some new, fun subtitle systems and then moved up to Robert Gordon University maybe about two years ago now. So this is probably one of the only good pictures of RGU that exist, you’ll notice, very gray, as you can see here. And I think this is when we had our one day of summer, maybe a couple of years ago as well. So yeah, so I work there. I’m part of the RGUX research group. See what I did there and we spent a lot of our time working with people on trying to figure out what makes technology fun to use. I always try and to explain my job to people by saying that I’m not interested in the computers, I’m interested in the people that are interested in computers, and how do I go about doing that. So we’ve got our own little UX lab at RGU. It’s got a nice little control booth so that we’ve got cameras and microphones and can record what people are doing, but when we’re not using it for experiments, it’s also my office, so I’m always the one that’s on the best behavior, because my room has all the cameras and microphones in it. And then we’ve got what’s lots of nice and live tracking equipment that we’ve been using for stuff. And, the, hopefully the reason for this will become apparent as the talk goes on. What I’m trying to say is that when we’re making accessible products, we aren’t just making it for that person that needs accessible products. We’re making them for everyone. And how do we go about doing that and what kind of things have I managed, or what kind of things have we done along the way that looks at this. So over the last year, I’ve been involved in a project, that we stupidly called it the future of game accessibility because we thought we were going to change the world. And then realized, oh god, the world is so broken. So we started to look at the points made by accessibility in the gaming industry. This is a bit of work that we that was funded by Sixer and so that’s one of the small parts that was funded by the Scottish Funding Council. And we used this as a knowledge exchange program to go out and talk to industry and figure out what sorts of things people are doing around accessibility and games accessibility, and what kind of work people are doing. So we went to a couple of companies and we asked them, well what kind of model of accessibility do you use? How do you define all of these characteristics? And that seems to be a common theme that’s appearing when we’re talking to people. No one really knows what’s meant by accessibility when we were talking to them. People always issue, oh yes yes this is definitely accessible. Why is it accessible? Yes, this is definitely accessible. And it’s really difficult to get this idea across to people. So we start actually breaking this down into a number of different sections when we’re talking to people and trying to figure out well what things are you doing to solve each of these different areas. And we broke them down into these seven ideas. So the first one is this idea of visual accessibility. So with this, we’re relating this to blindness, visual impairment, and color blindness. So looking up what sorts of problems are people going to have when they are playing games, visiting websites, doing anything and having some of these issues. Next we move on to something that we’re calling, cognitive accessibility. So with cognitive accessibility, we’re using this to, to talk about the things that are related to memory loss, fluid intelligence, and attention and emotiveness. So what sort of things will make people, or what sort of things are going to be difficult for people cognitively when they’re carrying out tasks. And so with physical accessibility, we’re talking about things related to fine green motor controls, or just motor controls in general. How do you interact with world around you and what sort of accessibility challenges exist because of this. And this can either be anything within this room or it could be something like moving a mouse, interacting with anything like that. Could also be playing board games, I’ll come back to why we find that one so interesting as well. Next is communication problems, or communication accessibility issues. So this is items where things like a person’s hearing, or talking, or reading, or expression are impaired because of one reason or another. And we don’t have to think of this as because you have a hearing impairment, you’re going to have a communication problem. It could be because you don’t speak the same language as everyone else in the room, you’re going to have a communication problem as well. So we’re trying to take this as a very, very broad term. And we look at how we can actually use this to look at many issues at once. Next one is emotional issues. And so this is things that becomes very hard when we’re trying to fix problems that exist with technology, or just fix problems in general. So what are these anger and despair issues, or any other kind of emotional accessibility problems that we have when we’re creating interfaces, creating services, and when people are talking about these as well. And next one is one that a lot of people go, why is that there? And we talk about social economic accessibility. And this is one that became quite important when we started to look at new technology, and the cost factors that are attached to this. So with this, we’re actually looking at things like inclusion, cost, but we’re also looking at things like gender issues and representation, and how do we deal with all of these on an accessibility. Kind of side of things as well. And then finally the one that is the most difficult to deal with is intersectional accessibility issues. So what happens when we have one person that has an accessibility issue that spans multiple dimensions, or what happens when you’ve got something that’s applying to one of these, but then in a certain situation is going to apply to something else as well. So we did this, we actually, we came up with this idea. We went to all the industry partners we were working with and we said, right okay, so now we’ve got this understanding of here’s the different areas that we can look at. Why don’t we start to look at these in a bit more detail and come up with this different types of challenges that people might face. And we used this to come up with something that we call, permanent, temporary, and situational challenges. That I see when we did this, we didn’t really do this. Graham at the start of the day, talked to about Microsoft inclusive design toolkit. Has anyone spent a lot of time or had anyone heard of that before today? A couple of people, yes. They’ve got a lot of amazing things on that site and one of the things that we really latched onto was this idea between what’s the difference between permanent accessibility challenge, a temporary accessibility challenge, and a situational accessibility challenge. So with this, we’ve got three different situations here. We’ve got one person that’s got one arm, we’ve got one person that’s got an arm injury, and we’ve got a new parent. The person that’s got one arm is always going to have one arm. It’s really difficult to move down this path. That is a permanent accessibility challenge. Temporary accessibility challenge, you’ve got an arm injury. We know it’s going to get better, but for that point in time, it’s going to be quite difficult for you to perform to the level that you were used to before. And then finally if you’re holding a baby, you’ve got one arm. Okay, we had something like this earlier today. So,start of the day, we had all of these lights on along here, yeah and we had to get the lights turned off. That was a situational accessibility challenge for us because of the situation we were in, we couldn’t see what was on the slides. Okay. We use this with people to actually try and figure out well what are the differences that exist, or the kind of problems that people have when we’re starting to look at these different areas and how can we use this to actually frame the way that people talk about accessibility in the first place. Now one thing that we need to remember with this, is that being deaf is not the same as being a bartender. Okay, if you’re in a noisy environment, it’s not the same as you not being able to hear at all. Okay, so when we’re talking about this, it isn’t fair to say, well yes the permanent challenge is exactly the same as the situational one, but it does give us this better idea of how we can look at things and how we can get more people interested and involved in this area in the first place. Okay, now if you’re more interested in this idea, one topic that appears, this is the only academic slide, I promise. And one topic that has appeared from people talking to me is this idea of using representative users and how do we actually use people in our research. And some people have said, yep let’s just let people go on these big suits so they can see what’s happening. Good idea, but at the end of the day it is still really worth getting in the people that have these accessibility challenges so they can actually figure out what they would do in that sort of situation because as much as I would love to say, yep I can use this filter and then all of the sudden I will experience what it’s like to be color blind, I don’t have the coping mechanisms that a color blind user will have. So for me, it’s more important to try it out myself first, but then bring the people in so that they can actually tell me what’s going to happen. Okay. Same issue if I was blind-folded, in the middle of a building, I would have no idea what to do, at all. So it’s not fair to say that as soon as you put a blind fold on someone, they are now blind. And because if you are blind, you’re going to be able to figure out what it is you would do in that situation. You’ll have all this previous experience. So with this in mind, we’ve got these different areas of accessibility. We’ve got these different ideas of permanent, situational, and temporary accessibility challenges. So we said to people, okay well let’s fill in the blanks. So we did this with some of our students, we went out to industry and we said, let’s give you a sheet and give you the chance to fill this in. Be as creative as you want. Be as nuts as you want. We said to them, eating a pot noodle while using your phone. That could potentially be a situational accessibility challenge because you’re only going to have one hand to defend in the realm against dragons. It’s something that I have problems with all the time. So yet, we had this idea of people can just be as creative as they want when they’re coming up with these ideas, and then use that as a way for people to start thinking about, well what are the problems that people are going to have. Okay, and we, I think the group that we were in earlier, we were talking about accessibility issues as challenges. So can you design for a certain challenge. So how do you design for vision challenges? So we had lots of people filling in these squares, to figure out all the different things that exist. Here’s a list of different vision problems that exist. Okay, some blurred drunkenness. And all of our students really put drunkenness down as a situational challenge. Soap in your eyes, short-sighted, cataracts, injured eyes… These are all some form or another of accessibility challenges, but it doing this activity, we’ve created a way for people to actually look at these in a different way and figure oh well I would struggle with designing for this, but I think I might be able to do something for this. Okay, we did this for all of them and so we’ve got a little one for vision. We’ve got one for some kinds of cognitive problems as well. I actually remembered to bring these along today. I’ll pass these around. Take them around. So these are all of the answers that people actually gave us for these problems. We got them printed out on postcards because academics love postcards. And we felt well, we can use this as a way to actually tell or to help people figure out what are the different types of accessibility issues that people might have. So yeah, so cognitive problems. Things like panic attacks, stress and high concentration situations, there’s lots of different things going on. And we moved on from that for different types of physical issues that people have as well. So again, this is the idea of one arm all the way through to holding a baby and these are all the different things that people managed to come up with this as well. You’ll notice with these that things like the vision problems, people were able to come up with a lot of more issues. Okay, it’s very easy for us to understand vision-type problems, but as soon as move into these types of ideas, it’s incredibly difficult. Intersectional issues are ones that everyone that we talk to find that these are the things that matter the most, but are the most difficult to understand and to interpret as well. One of the fun ones about this, is that I realized after I made it that I stupidly used red, yellow, green, on a yellow background. So our communication issues card cannot be read by anyone that’s color-blind. Which is in itself a terrible communication problem. So, we have all of these different things. So once we’ve done this, we went back to everyone we were working with and said, right okay well what is it that you currently do? What’s the current state of play when you’re actually looking at these different problems? And they said, well, they didn’t really know, we don’t know again what are the issues that we’re dealing with. So when we said to them, okay well what are the physical issues that you encounter when you’re developing games. They go, yes that is a problem that we need to deal with. What are the cognitive issues? So we broke this down again into these different questions. We asked people, what is it you actually know about these issues? Where did you learn about these issues in the first place? And then finally, how do you deal with these? So currently, how do you as a company, or as a student making a website, how do you deal with a person that has vision problems? Or how do you deal with a person that has a physical problem? Then we asked them, well what do you not know? This is a really difficult thing for people to understand. It’s difficult for people to know, I don’t know how to do this, and it’s really difficult especially for students to get it into their head that it’s okay if you don’t know something because if we can figure out what you don’t know then we can help you learn. And that’s one of the things that we try to work with quite a lot. And we said and then, well what kind of things do you need? And then finally, how important do you see this issue? Again, we give people this really nice, big sheet to deal with and we got them to fill in all the different issues. So we have our different accessibility things on the top, and those questions that I just talked about down the side. We got people to basically fill in the boxes again. From that I think we had about between 100 and 200 people’s worth of data. And from next week that’s going to be going up to about 350 people’s worth of data with answers to all of these questions. So we’ve got a fairly good understanding now of what’s the current state of play with accessibility when it comes to game design, or web design. Okay one thing I wanted to say, Susan, we’re taking this idea and running it with architecture students. Yeah so we’re going to have a look at what kind of similarities exist between web accessibility and building accessibility. So yes I’ll talk to you about it. So where did you learn? Well, people learn from lots of different sources and here’s some of the different things that people said. Charity awareness, personal experience, news articles, university lectures, websites, family members, life experience and accessibility applications. So people are learning about accessibility from a lot different places. From the discussions that we were having earlier today, it is really a part that people are learning from different tools and then you’re sharing these tools with each other as well. Okay and so in doing that, it gave us an opportunity to collate together all of these ideas and then figure out how can we get these ideas to everyone to deal with in the future as well. Then we looked at a few other bits and pieces as well. We looked at lots different areas and so for each of these different accessibility ideas, we got them to answer a lot of questions, and we came up with all of these different mind maps. We’ve got a mind map for amputation and death, attention disorders, blindness, broken legs, color blindness, learning difficulties, limited mobility, memory issues, visual impairment. No, okay so we’ve got all of these mind maps now with issues that detail what do you know, what don’t you know, where did you learn, and what did you need. Okay this is a lot of data. If anyone wants to help me look at this and take it apart and figure out what we can do with it next, please feel free to get in touch. Okay this is what my research is going to be doing for the next little bit, and so trying to untangle this idea of what is it that people know, what do they not know and what kind of things do we need to do as an accessibility community. Going forward so that we can actually deal with this. Okay so we did all that and then we started to think about well how can we actually get people involved in some of the fairly basic ideas of accessibility. To get them to think about how we do, how do people actually perceive the world if you have some form an accessibility issue. We’ve talked about this a little bit today and about the idea of simulation as a developer too. I know that in our group we earlier talked about NoCoffee. So NoCoffee is a plug in that you download for Chrome, that you can install and then it allows you to take a website and apply a filter to it as if you had some form of a vision issue. Okay so I picked a random website, it’s a visit Scotland website. There is someone here from Visit Scotland as well. Your website is awesome. We had a little bit of a look at it, this is what Visit Scotland looks like if you’re color blind. This is what is looks like if you have some form of blurry vision. And then we started to apply some other filters to it as well and it gives people a better idea of well here’s the sort of issues that people might have. So things like contracts and things like size of font become very easy for people to understand, this is something I need to deal with. Okay I’m going to do something I’ve never done in a presentation and I probably will never do again. A couple of days ago my wife was watching TV and all of a sudden the adverts came on and it’s the most excited that I’ve ever been about watching adverts in my life. RNIB teamed up with Channel Four to do a very special, they called it the very special ad break where they got four different adverts and they applied filters to these adverts to see what it’s like if you have certain accessibility issues. I thought that this was awesome partly because it’s accessibility issues and partly because they cared about it that much that they put on at prime time on a Monday night, which is really, really cool. So I’m going to show you these so you can have a little bit of a look to see what they’re like. I promise I’m not getting any product placement off this. Okay so. Video Speaker: As a part of National Eye Health Week, Channel Four and the RNIB proudly present a very special ad break. More than two million people in the U.K. are living with sight loss for the next few minutes we apply visual filters to illustrate some of the most common eye conditions. Macular degeneration affects the central part of your vision. Advert voice over: When you’re on O2, your network coverage is like baby geese. Geese who’ve chosen you as their mother and follow you practically everywhere. So whether you’re on the underground and you fancy a call. Or you’re out in the sticks. Or you’re using wifi on the fly. They’ve got you covered even over cities with European roaming now included. Keep connected with our 15 thousand wifi hotspots, nationwide 4G and now with European roaming included. O2 more for you. Advert narrator: Cataracts cause your sight to become cloudy or misty. Advert voice over : Pure XS, the new fragrance for men by Paco Rabanne. Advert narrator: Diabetes can affect the blood vessels at the back of the eyes. Person in advert speaks: Alexa reorder Purina cat food. Alexa: I found Purina cat food would you like to buy it? Advert narrator: Hemianopia is where you lose half of your vision. Man in advert speaks: Hey, did you know that pretty much all TV’s have freeview built in. This one, this one, not this one I’m afraid, obviously this one. With 70 free channels free view is the other way to watch TV. Advert narrator: Glaucoma is a condition that damages your optic nerve. Man in advert speaks: Whoa, whoa, whoa. Woman in advert speaks: Sorry. Advert narrator: If you can see danger coming, you can stop it. At least 50 percent of sight loss is avoidable so regular eye tests really matter. At Specsavers we can detect a range of health conditions before they come big issues. So seriously, you should go to Specsavers. Book a full eye examination today. Advert narrator: Tune in for the next break to see these ad’s again but with audio description. I was going to show the audio description ones but they’re more comedic than anything else. Channel 4 decided it would be good in that second advert to describe them as palpitating women and naked men running around. I thought I’d save you from that image. So we can use simulation as a way to get people interested in this and if you’re looking for this channel4.com forward slash eye health or have a look on the RNIB twitter (Channel four eye health). This is really good to show to people like your boss so people that are interested in or you want to be interested in the accessibility, show them these kinda things because it will begin to get them thinking about these kinda things. So that is what we did when we were going around trying to figure out what people actually understand about accessibility, how we can get them to think about it in a different light, and then how we can start to educate them about how to look at this. Now I’m going to talk about how I get to watch TV at work, all the time for fun. A lot of what I did before, obviously when I was working at BBC was to look at media accessibility. In particular, I looked at subtitles. I love subtitles. That’s how much I love them. So for a lot of the time anytime that I bring this up people say well why subtitles? Hasn’t this been done before? And yeah, but we’ve still got a long way to go to get this right. So standard scene here. We’ve got a family of people that are all sitting, watching a TV, subtitle box at the bottom. That subtitle box is actually covering a little bit of the action. We didn’t know there was someone else under there. So that’s happened because standard subtitles, standards they always put subtitles at the bottom of the screen, always put subtitles in the middle there as well. Okay, well what if there was a different way to do this. When I was working down south, one of the things that we started to think about was something that’s called dynamic subtitles. And what happens when we start to position subtitles in places where people wouldn’t have expected them to be in the first place. And what if they actually become part of the action for. And we thought this was a really novel idea and that no one had ever thought about this before. And then it turns out that back 1907, someone had actually done this already. So in this clip, we’ve got a man that’s standing up. It’s a black and white film. He picks up the phone and then all of a sudden we’ve got this thing where there’s two people talking. So the person that talks is saying, hello is that you jack? And then Jack’s voice is going across the screen in the other direction saying, yes darling, darling. Okay then she’s saying, don’t darling me, who was that girl you were with in the park tonight. What! He then says back, why, why that was my sister. Totally believable, you never told me you had a sister. You’ll see with this as well that we’re beginning to have some form of emotion being said with these as well as people are nervous, the text is kind of moving around and about. And then sometimes the text is actually smashing into other bits as well. Okay so this idea of dynamic subtitles actually exists. And it’s used quite a lot in modern TV as well. Think about programs like Sherlock Holmes. Within Sherlock Holmes or House of Cards. Whenever we’re looking at text messages or people typing on the screen, we normally have this thing now where it’s perfectly acceptable for these messages to just pop up for people to say this is an extra piece of textual information that you might be interested in. So this idea of positioning text dynamically within media is something that exists and it’s something that is fairly well thought of. And it’s some of the we can actually try and take to another level. So yes we’ve got this idea of this dynamic text, exists on television. So we thought well instead of it just being this idea where we’ll have it for certain elements of a TV show, what happens if we have it for an entire TV show? So we had a little bit of a think and came up with Sherlock Holmes as a nice piece of media that might be worth trying to do dynamic subtitles with. Instead of us trying to figure out the best place for us to place these subtitles ourselves, we did a little bit of eye tracking work. We got people to come in and we got them to watch an episode of Sherlock Holmes and we looked at where their gaze was going to naturally be. From that we can then position the subtitles so that it’s going to fall where their gaze is anyway. So I’ll give you a quick demo of how this ended up looking. Watson: Ah, bit different from Monday. Sherlock: Mike, can I borrow your phone? There’s no signal on mine. Mike: Well what’s wrong with the landline? Sherlock: I prefer to text. Mike: Sorry, its in my coat. Mike: This is an old friend of mine, John Watson. Sherlock: Which was it then, Afghanistan or Iraq? Watson: Afghanistan, sorry how did you? Sherlock: Ah Molly, coffee, thank you. What happened to the lipstick? Molly: It wasn’t working for me. Sherlock: Really, I thought it was a big improvement. Your mouth’s too small now. Sherlock: How do you feel about the violin? Sherlock: I play the violin when I’m thinking of something and I don’t talk for days on end. Would that bother you? Potential flatmates should know the worst about each other. Watson: You told him about me. Watson: Then who said anything about flatmates? Sherlock: I did, I told Mike this morning that I must be a difficult man to find a flatmate for. Now here he is, just out to lunch with an old friend, clearly just home from military service in Afghanistan, wasn’t a difficult leap. Watson: How did you know about Afghanistan? Sherlock: Got my eye on a nice, little place in central London. Together we ought to be able to afford it. We’ll meet there tomorrow evening, seven o’clock. Sorry gotta dash, I think I left my riding crop in the mortuary. Watson: We’ve only just met and we’re gonna go look at a flat? Okay so apart from him being careless with his riding crop what do you think? Good, bad, indifferent, just different? We got a lot of varied feedback about this when we showed it to people. We had some people that thought that it was brilliant, we had one person came in that had a cochlear implant and she was saying to us that this is the first time that she’s ever been able to watch a TV show and pay attention to the action at the same time. The other people came in and said it’s too distracting. It’s far too distracting, it’s getting in the way. Now this is where we start to have the idea of accessible everyone. We’re trying to create something that people are going to be able to watch and enjoy together. So television is one of these situations, where, most of the time you’re not watching it by yourself, you’re sitting down with people that you want to spend time with and you’re enjoying watching a TV show or a movie. So how do we start to look at these issues? Subtitles can become a lot more complicated when we start to look at what happens if you, sounds like a really bad joke, what happens if you’ve got an English man, an Italian man and a Spanish man all in the same room at the same time? Everyone’s going to want to have different types of subtitles on the screen so how do we start to develop these Interfaces? If you know the answer to that one please tell me because I’ve got no idea. So we started to look at this idea of the UX of subtitles and this idea of the UX of accessible services is something that we’ve been trying to run with for a while now, this idea of accessibility shouldn’t be a binary choice, it shouldn’t be something that is on or off, it should be on and fun for people to use. So how do we get across this idea of fun, whatever we’re doing? And this is something we’re actually working with going forward as well. So basic subtitle school 101, like I said, place subtitles in the middle of the screen and at the bottom of the screen. There’s a new, well not new, but there’s this challenge that now exists within virtual reality. There is no middle and there is no bottom. So what do we do with the subtitles now? We can’t just have them at the bottom, we’ve tried it, it doesn’t work. So what kinda things are we going to do? This is a project that I’m in the middle of starting up just now, our idea currently with this is that we want to reach out to hard of hearing users and we want to ask people, how do you do sound location in the physical world if you can’t actually hear? So what sort of techniques do you use to figure out where a sound is coming from? Is it social cues from around you? And then from this can we then create new methods that will allow this to happen within the virtual world. So can we use accessibility principles in one domain and transfer it across to help people in another domain? And again with this sort of thing, if you are interested in getting involved then please, please get in touch because the more people we can get looking at this, then the better I think it’s going to be. Moving on from media, I said that I also get to spend quite a lot of my time playing board games. I don’t know why I get to live like this. So we spend quite a lot of time in work looking at the accessibility of board games. So just out of interest how many of you have played a board game within the last month? How many of you played a board game in the last month that’s not Monopoly, Trivial Pursuit or scrabble? Okay so there’s still a good number, perfect. Board games isn’t just Monopoly. It is an ever increasing area, I think the year on year growth data is about 35% so that’s doubling very two years. For the amount of money that people are spending on games. There’s such an incredible variety of games out there now that it’s a really, really nice area to look at because it’s a growing sector and it’s one that does have quite a lot of accessibility issues. One of the accessibility challenges that always pops up again and again when we’re looking at board games is this idea of color blindness and how do we portray color information in a new or a different way when we’re looking at board games. Because most of the time you have a red player, you have a green player and you go perfect, I am color blind so everyone is the yellow player. Uno came up with a new color blind friendly version of their game or Mattel came up with this for Uno. And they used something that’s called the colorADD system and it’s something that I hadn’t heard of before. Framework that’s based on symbols. So we’ve got a triangle facing one way, that means red. We’ve got a triangle facing the other way and that means blue and we’ve got a diagonal lie and that means yellow. From that we actually just create a color wheel so everything else fills in the gaps. So we can actually figure out what orange is, what purple is and what green is and then what brown is as well. All of a sudden we can just apply this to things, we can apply this to cars, we can get stickers and stick them on things, we can print them out so that they’ve got these on them. It’s creating a way for people to actually to be able to access these games and for it to happen more easily for them than that wouldnt’ve been able to do beforehand. As a little demo, so red, thing up in the corner, we know that that one is red, okay? Next one, I’ve got rid of the color. Oh challenging, it’s upside down, yeah. This is where it gets difficult, this is where the system fails a little bit. Does anyone here use Reddit? Right, okay accessibility has a very interesting relationship on Reddit, people go through these very interesting phases of why do they need to make it accessible, not all gamers need this. No we can’t do that but this one I’ll turn around. Yeah that one was Green. And this is one of the issues we come across quite a lot when we’re looking at the idea of accessibility and board games. If we look at the stats for the users of BoardGameGeek, BoardGameGeek is, it’s so geeky that I even know it exists, it’s a website that has lots of information on all the different board games. Apparently there’s 3.3 million unique, monthly visitors to this. 93% of these visitors are male and the average age is in the mid 30’s so you know we’re not trying to be stereotypical at all. Average of 200 games owned, so these people are rich, in their 30’s and male. It can be very, very difficult to actually look at this demographic and to get people interested and involved in accessibility. And this is one of the things that we’ve started to look at quite a lot. One of the guys I work with, Michael Herron, has started a website that’s called Meeple Like Us. The idea behind Meeple Like Us is to tear down some board games and to figure out what is it that makes a game accessible in different areas. So it’s got to the stage now where, I think he’s done over 100 different board games, so people can say I have problems with X and he can go, okay well we suggest these games based on the problems that you’ve said that you have had and these are the games that we think you’ll find accessible or here’s the things you can add to them to make them accessible for ya. To give you a rough idea of the different sorts of things that Mike looks at. This is a game that’s called Forbidden Island. Has anyone heard of this one before? A couple, yeah. Forbidden Island is awesome, it will make you cry so much. In Forbidden Island you are playing the role of explorers that are trying to collect treasure on an island and then escape from that island before the island sinks beneath your feet. Unlike normal games this is a game where you’re working together collaboratively. So you’re not playing against anyone else, you’re playing with the people that you’re there with, against the board. Normally what happens is you take a few turns, you turn over a few cards and then some of the cards will swap over which means their sinking and you’ve got to save these ones while trying to save the people and then the game becomes a little bit more difficult because the more cards you turned over, the more of the island that’s sinks and the more you want to cry. We can look at this from a number of different accessibility perspectives. So remember these areas that we’ve looked at before. Mike has taken these and he’s added in a few other one’s as well because there are some issues that we go in a bit more detail but are probably a little bit more specific to board games. So with this he’s put in color blindness as a separate category. We’ve still got the visual accessibility and the Cognitive, the Emotional, the Physical and the Communication, Socio-Economic and the Intersectional as well but color blindness is one that is particularly challenging. I know that someone was saying it would be good to get a color blind simulation tool. You can get them on the app store. We use these all the time, so the colors on this are bad at best, the top left is what it’s meant to look like, then we’ve got Protanopia, Deuteraniopia and Tritanopia. So with this one up here, the top right and this one in the bottom left, I think this is the color blindness where it’s mostly red green color blind and this one in the bottom is like a blue red color blind. So with this we’re actually being able to see well here’s the different challenges that exist. It’s quite difficult to tell the difference between the yellow and red player if you have certain types of color blindness. We can go on and look at different cards as well, so with this, this is meant to be a yellow thing and a red fire, but when we’re actually looking at this for someone that’s color blind they’re both fairly similar in their colors. Now for this kind of game it’s not that important because the iconography on the cards is really good at showing you this. For other games this is going to be really difficult, anyone that’s played ticket to ride, so that’s a game where you get to make little trains, these sorts of issues are very difficult. We can also look at things like visual accessibility with this there’s lots of nice colors on the board, it’s quite visually accessible for people. The only thing that people actually need to pay attention to is these cards are turned over. So they’re still showing the same graphic but when we’re turning over a card we’re signifying that it’s in a different game state and therefore it’s meant to mean something else. So that’s one of the main visual accessibility issues that exists. Emotional accessibility is a very, very challenging one for games like this, for this game where you’re playing against the board game. Normally when we’re playing games, if you’re playing with your friends one friend wins and then that’s fine. With this sort of thing you’re probably going to win the game as a group 25% of the time. So the rest of the time you’re going to all drown, which is terrible. So emotional accessibility does become a thing that we need to look at for this. And finally communication accessibility, so this idea of how do we actually communicate in the group. So what happen for that. And also with communication accessibility, how do we read the cards that are present and how do we actually understand them? So Mike’s done a really good job of going through these and he comes up with these lovely little charts that show how they’re meant to be accessible for different people but all of this is also available in a searchable google sheet so that you actually have a look and say well I want something that’s got a high accessibility for visual impairments and it will categorize all that for you as well. He finishes his review by saying there’s few games so effective at turning 30-45 minutes of your free time in to the kind of crucible of escalating despair that you just can’t wait to experience again. That is a very, very accurate description of what this game is like. So accessibility of board games is something that is quite nice to look at and we’re finding a lot of the skills we have as accessibility researchers, we’re looking at technology, actually can be applied to this sort of domain as well. Like I said Mike’s done quite a good job of going through this, over 100 games have been reviewed, he’s amazingly written over 800,000 words for this site and it seems to be getting a good amount of traction, Twitter impressions and all this kind of thing as well. It’s been featured in The Guardian, it’s been featured in Geek and Sundry. And we’ve actually got to the stage now where board game developers are starting to take note. So last month we got sent a new game by Czech Games that they’re going to be releasing next year and they said we wanna make sure this game’s accessible can you play through it first and give us any of your notes. So we did it and we sent them notes and now they’re changing several aspects of the game to make sure that it’s more accessible. So it’s really cool that we can actually get to that stage where people are doing this. And as something else that we’re working on, we’re also looking at this idea of board game accessibility guidelines. So how do we take some of that evil tick box type nature that we all love slash hate and apply that to board games to make them more accessible for people as well. So we’re starting to look at that area and trying to figure out what sort of advice can we give to board game manufacturers when they’re creating these things for people to play at the start. So taking this and leading it back on to kind of technology. Well how can technology help with this? And how can we actually use technology as a way to make things more accessible? Or to make board games more accessible? And we did this through projection mapping. So what we did is we started playing Forbidden Island on the table and then we started to project things on top of it. So we can do things like send player notifications to people. So this is a very, very simple prototype, it’s just two web pages that communicate using socket. And then we can just kinda do a Wizard of OZ thing like highlight tiles, so you can see here, one of the tiles is being highlighted and then you know well that’s something that I now need to interact with. So we’re using technology as a way to do this, okay. The amount of accessibility challenges that we can overcome by using things like this is incredible. If you’re colorblind we can apply a new filter to the table to make it a little bit easier for you to tell the differences between things. If you got cognitive issues we can give you more prompts so that you can understand at what point in the game state you are. If you’ve got physical issues we can give you an alternative input device because what we can do with this is we can have a camera above it to understand the game state and then from that we can just make sure that your pieces are virtual and everyone else’s pieces are physical or if you want to play with someone in another country we can do that. So we’re creating a way for us to be able to play these games with less accessibility challenges in the way. I won’t trouble you with the weather effects because they’re a bit dull. But I will show you a little bit of a promo video that explains a little bit more about it. Crystal: My name is Crystal and I am a student at the School of Computing in RGU. One of the projects that I am involved in is researching methods that improve accessibility of board games through projection mapping. One of the important parts of this work shows that technology doesn’t have to be something that’s on your laptop or phone. It can also be used for groups of people in order to create false social environments. 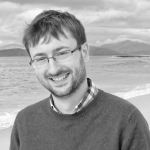 Michael: My name is Michael Crabb and I’m one of the researchers in RGU’s One of the key areas that we’re interested in researching is the use of augmented reality technology to make systems more accessible for everyone. But more important than that we’re interested in making experiences that everyone can enjoy and take part. So this goes beyond just making it accessible but also making it accessible and fun. So the idea behind this work is to augment the board game with additional content that will retain it’s overall game immersion and also to increase it’s accessibility. So people with cognitive issues can get prompts for what part of the game’s next. People with vision impairments can alight to a highlighted to make it more apparent, and all this is happening in a situation where social evolution has been bloated to a really high level. We’re really excited about this research and look how we can take what we’ve learnt and use it to make more inclusive experiences for everyone. So we’re looking at how we can actually use these sorts of techniques and again with this sort of stuff if you are interested in it please get in touch because we’re more than happy to share our ideas and what sort of things that we can do with this. I’ll finish, one last, couple of things with other sorts of activities that we’re involved in just now. Well this is more stuff that some of my students have been doing. We’ve been looking at recoloring IDE’s so this idea of how can we recolor coding environments to make this easier for people. We did this for people that are dyslexic, we said if we can change the colors that you have within your coding environment can this make it easier for you to code? We did some eye tracking work with this and we had one person say that I feel it’s the first time that I’ve been able to skim read code and we can actually see the differences in the eye traces that are happening with that. We’ve also done a little bit of work that’s looking at future web trends and web accessibility so with this we’ve carried out interviews with people that look at new types of technology and how they see this fitting in with accessible standards. And we’ve also been looking at how we can do things like involve all of this in our teaching as well. So this idea of board games, we used to run a module on paper prototyping and every single year it was paper prototype a website, paper prototype a phone app and that’s quite dull. So from last year we’ve been doing paper prototype a board game, pick someone that is two clicks away from yourself and make a game that they will like. Design that with the class, paper prototyping so you can rip it up and you can start again. But it means that you are starting to look at this idea of accessibility within the classroom and how we can get people to think about the different issues that appear as well. Final one which is quite fun, we’re starting to look at laser scannings of public places so this is work that’s happening within our architecture school. But we’re also looking at how we can use it in computing to do some accessibility work. So with laser scanning you’ve got this little device that you can put inside of a public space, you press the magic button and then out pops a nice 3D representation of that space. My idea is to take this forward to do some accessibility walkthroughs. So can we get people to do virtual reality walkthroughs of a place before they visit them to highlight the accessibility hotspots. And then from that can we then give these hotspots to people that will then be able to adapt these environments. Or can we use it so that other people can go, I’ve had a problem there, someone else might have a problem there as well. We’ve also got other stuff as well, we’re looking dyslexia and subtitles, we’re looking at E-learning platforms and accessibility challenges and we’re looking at alternative inputs for FPS games so one of my students next year only has use of one of their hands but he absolutely loves first person shooters so we’re gonna be looking at how can we remap controls so that he can beat me at Left For Dead. And that’s about it, take home messages from today. One, when talking about accessibility make sure that everyone has got a shared definition. So try and make sure everyone is in the same page about what they’re meaning. Two, use this idea of permanent, temporary and situational accessibility challenges to guide discussion but don’t take it too far, remember there is a difference between them. And finally, try and design experiences that are accessible and fun because that’s what we’re actually here to try and do. And that’s it, thank you very much.